Team Tenaya 2012 with our rocking crew! 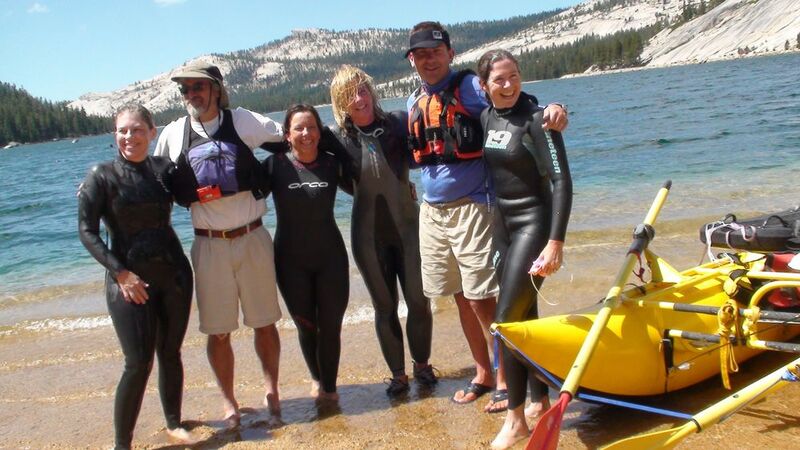 In 2005, my friend Mara and I decided to swim across Yosemite's beautiful Tenaya Lake, elevation of 8,150 feet. 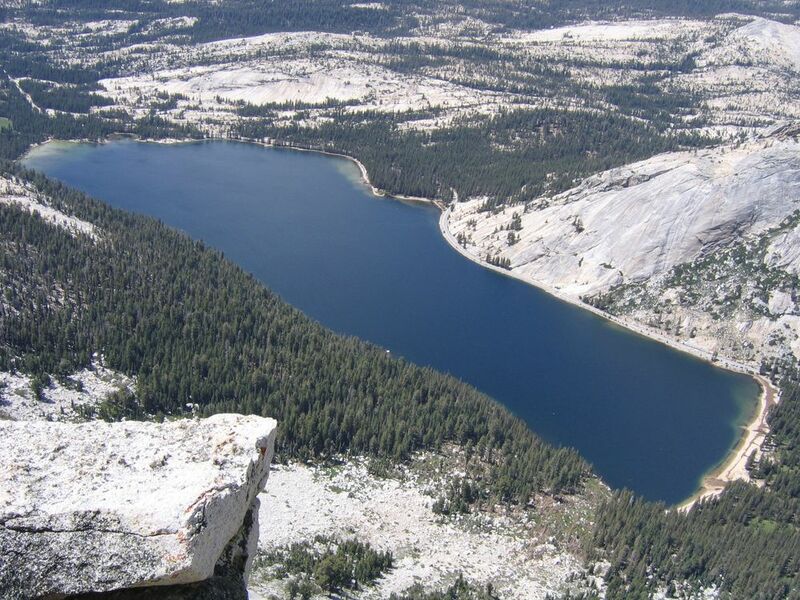 So began a new fun endeavor-swimming the high mountain lakes of the Sierra. We glided across Ellery and Silver Lakes before I moved to Yellowstone, where my lake swimming activity was sharply curtialed by the threat of death (survival time in Yellowstone Lake is about 10 minutes). 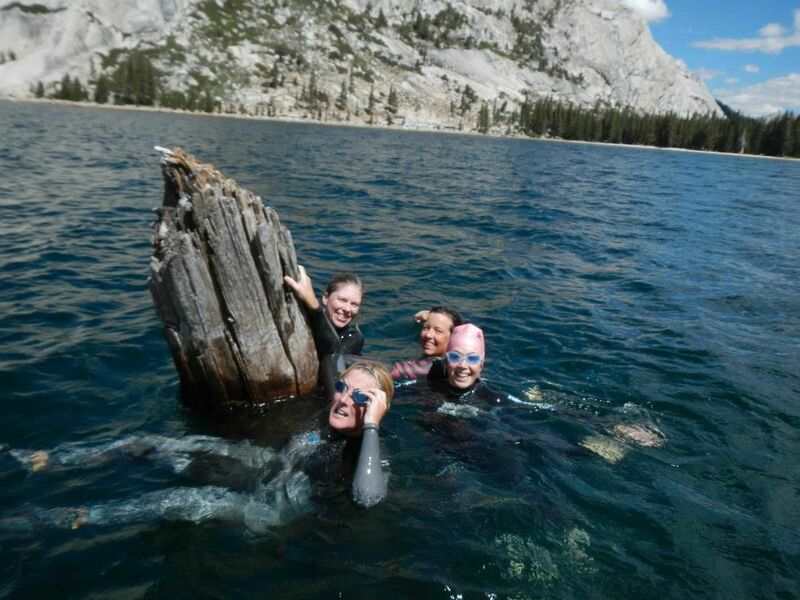 Now that I am back in California, we decided to return to our annual swim and two other amazing Yosemite women, Mimi and Kimberly, joined us. 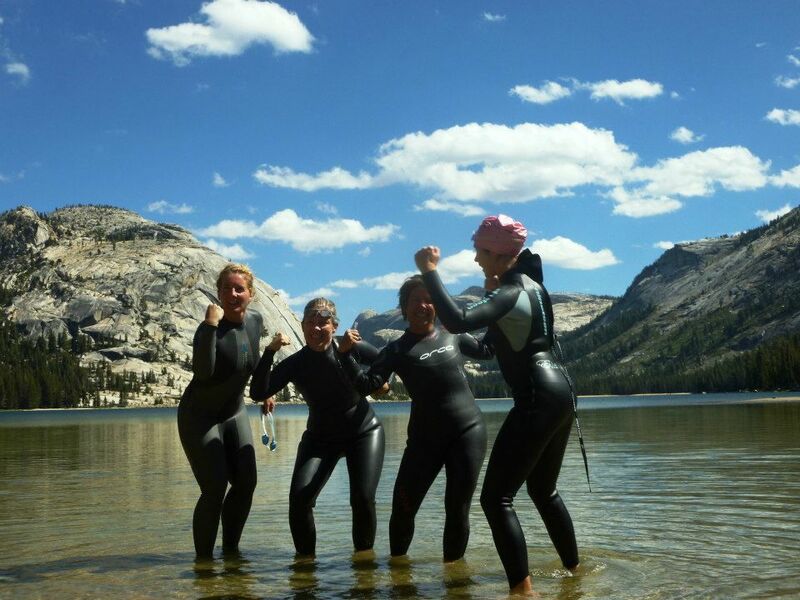 Swimming Tenaya Lake is truly a sublime (and fun!) experience. I choose to do the backstroke, so I could gaze at the blue skies and granite domes as I glided across the water. Despite the cold appearance of the deep waters, the surface temperature on a summer’s day is actually quite pleasant, although out in the middle of the lake it’s pretty chilly. Another wonderful part of the swim is getting near the ghost trees in the lake. Although most visitors assume the dark shapes on the lake’s surface are rocks, they are actually the tops of 70 foot trees that stood in the lake bottom a thousand years ago during a massive drought. The dry year we’ve experienced made for a lower than usual lake depth, and exposed more of the height of the trees. If you are interested in learning more about these fascinating trees, Scott Stine has an excellent article on them at Sierra Nature Notes. I also was on the lookout for the dreaded alpine shark-you just never know! (Jaws really did damage me for life). Thanks to our excellent crew who paddled beside us to keep us on track (akin to herding kittens) and to our friends and family who cheered us on and made sure we had excellent vittels post-swim. Until next year!